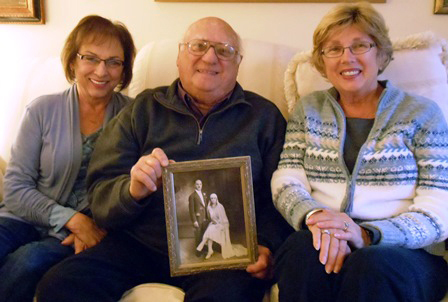 Tom, Helen and Demetra Barbas’ family moved to Seattle, Washington, in November of 1944 from a protective Greek “bubble” in Detroit, Michigan. From there, the Barbas children blossome d as they assimilated into their new Northwest society. Christo’s two brothers, Gus and John, had come to America earlier and traveled west. They were established in Seattle. 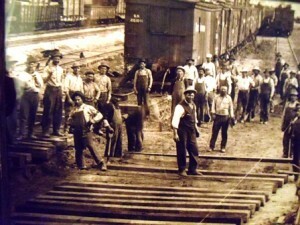 Christo traveled cross country by rail eventually reuniting with his brothers. He found work in lumber mills and on the railroad. When a coworker on the railroad fell and was killed, Christo was promoted to supervisor in recognition of his ability to work well with his peers. There were wild deer and other animals in the forests of Seattle when Christo arrived. He first worked at Bolts Café on Third Avenue and then at the New Washington Hotel on Second Avenue, both no longer in existence. When Seattle’s economy ebbed, Christo and his brothers moved back to the Midwest. Along the way he operated a restaurant with his brothers in Montana which was short-lived. 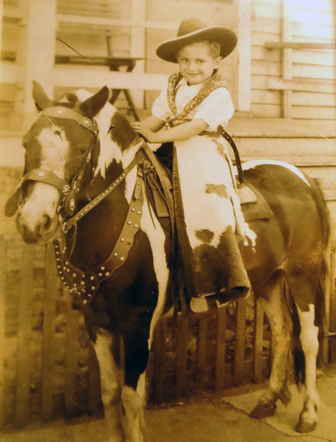 While moving to the Midwest he remembered working as a bus boy at Wild Bill Cody’s restaurant in Wyoming. In Detroit, Christo initially found jobs working as a bus boy, then as a waiter and captain of waiters at some of the better hotels. In 1929 Christo received a letter from his parents telling him they were getting old and that they wanted to see him married. Christo complied by returning to his home village of Kriekouki (now Erythres) near Thebes (Thiva) to see his family and reestablish old acquaintances. On one occasion, while sitting at a kafenion (coffee shop), Christo noticed a young woman walking by and was taken particularly by her attractive legs. The young woman, Marigo Stephas, happened to be the sister of Christos’ good friend, Panagioti Stephas. Christos and Panagioti shook hands to agree to an arranged marriage to Marigo. Christo then went to her father who was the village priest and offered to marry her and take her to the United States for a five-year period and then return to Greece. Marigo’s father consented. A short time later, a large panegiri (celebration) was held in the Stephas home while Marigo was upstairs in her room, not knowing the party was for her and that she was to marry the rich man from America. 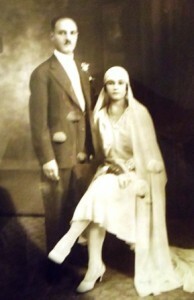 Christo and Marigo were married on her sixteenth birthday, July 20, 1930. 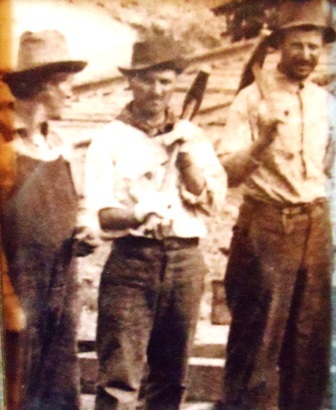 They traveled from Greece to Cherbourg, France, and from there sailed to Ellis Island in New York. 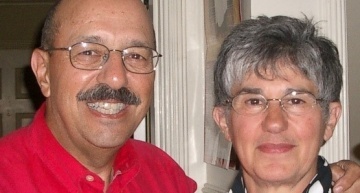 They also were given the responsibility of bringing Marigo’s cousin, 15-year-old Bill Cotronis, along with them. Marigo recalled her biggest fear as she was ushered through the various medical stations was that she would be separated from her husband. 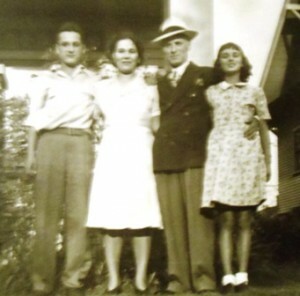 Christo and Marigo traveled to Cleveland, Ohio, to be with his brother, Gus, and his wife Andromachi. Bill went on to Seattle to be with his relatives and became an auto mechanic. Christo and Marigo moved back to Detroit where he had previously worked in the restaurant business. Having a light complexion and an outgoing personality, he had little difficulty finding employment although it was mostly at night. Meanwhile, for Marigo, the adjustment to life in Detroit was not an easy one. The family lived in the upstairs of a rented duplex. Marigo was a very determined woman but had little experience in cooking or keeping house. Christo told her if the meal was ruined throw it out and start over. The knowledge and sophistication she obtained were formulated by integration with other women in the mostly Greek tenement houses. 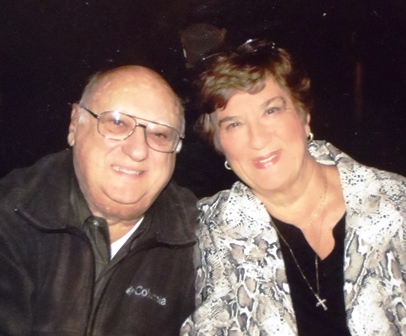 When they lived in Cleveland, Marigo did find companionship with women through her church and learned to make Greek pastries and cook a meal. And, while she wanted to learn English, caring for her two small children and the home hindered her ability to do so. Marigo did learn English slowly, partly from the help of a German neighbor woman who suggested that Marigo leave the radio on all day long and listen to it. Tom and Helen fondly recall their mother in an orange chiffon gown riding on the streetcar when the family went out for the evening. They also recall the clarino (clarinet) music while friends sang old songs and danced in neighboring tenement units. 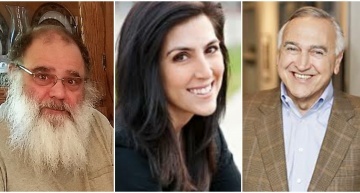 In Detroit it was all Greek in the Barbas home. 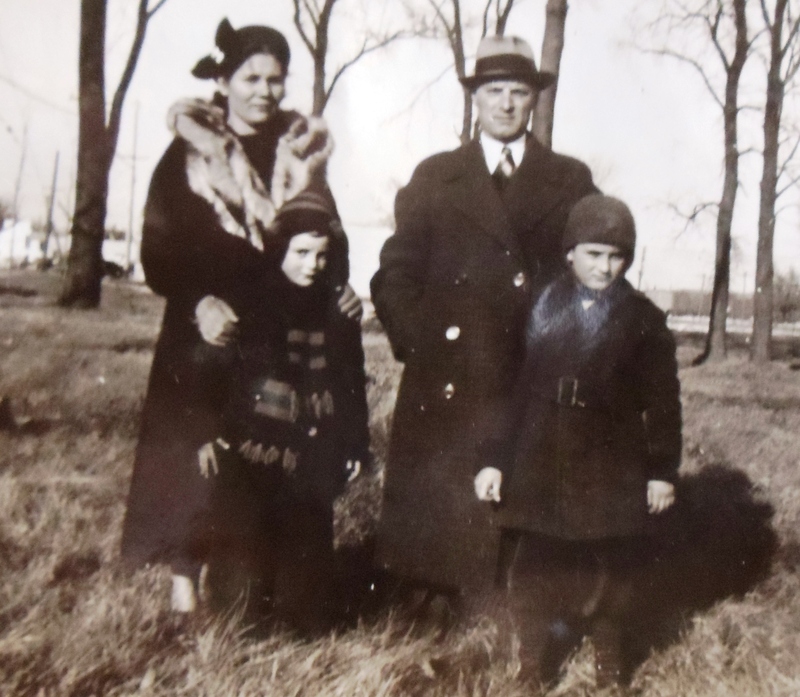 The family lived in a nice home within the tight-knit Greek community but the areas beyond were very rough as Detroit was experiencing a turbulent rioting period. Christo’s bus was often pummeled with rocks on his way to work and the sound of gunshots was not uncommon. Children were instructed to be extra careful while walking to and from school. Tom’s assignment was to protect his little sister Helen but forgot to walk her home one day. Tom never forgot how his father, normally very easy-going, was wildly upset fearing his daughter would be harmed and became very angry with Tom. Tom never forgot Helen again. Christo’s brother, Gus, was not as fortunate in finding employment in Detroit and spent much of his time at Christo’s home. Finally, Gus somehow found work with a traveling circus and traveled west to Washington State where he contacted friends Tom and Phillip Stamolis. In early 1941 Gus opened a tavern on Western and Marion in Seattle. Letters from Gus about his success in Seattle and the conditions in Detroit provided incentive for Christo to join his brother. It was to be for a six-month trial basis. In Seattle Christo established the Tug Tavern along the waterfront at pier 48 with a cousin, Tom Captain. In October of 1944, Marigo sold the house in Detroit and all her furnishings and boarded the train with her two active children for the five-day journey to Seattle. In Seattle the family first lived with their theo (uncle) Gus and thea (aunt) Andromachi, their three children (see EAST SIDE, WEST SIDE) and cousin Tom Captain on the west side of Queen Anne Hill. With five adults and five children sharing one house, Christo began looking for his own home. With help from his patriotes (countrymen), the family moved their few possessions into a new home on Fifth Avenue West. Christo and Marigo passed away in 1969 and 2000 respectively and are buried in a Greek section of Washelli Cemetery in north Seattle. Anastasios (Thomas) Christos Barbas was born at Ford Hospital in Detroit, Michigan, on October 25, 1931. He remembers riding a tricycle and setting off firecrackers from the early age of three or four. He could not speak English until he was seven years old as his parents were very strict about keeping him “housebound” or within the Greek community in Detroit. When neighbor ladies observed this little boy in the neighborhood, not attending school and not playing with other children, someone contacted the social health department. Truant officers responded and seven-year-old Tom was placed in the first grade at Carstens Elementary School with almost no ability to understand his teachers or other students. He was then able to play with other children even with his limited knowledge of English. It was only during his later military service that the English language really became familiar to him. Tom was 13 years old when the family moved to Seattle where he attended West Queen Anne Elementary, then Queen Anne High School. It was his period of becoming an American, playing baseball and football and participating in other school activities. In 1949, Tom was not yet 18 years old and still a junior in high school. With some urging from patriotic peers, Tom sought to enlist in the Marine Corps reserves. Marigo insisted Tom was adopted and that she had no right to give him permission to join. When Tom threatened to run away, Christo consented and signed his reserve enrollment. For Tom, it was a blessing in disguise as he obtained an entire new perspective on life through his reserve training: touring submarines, warships and cruising. Before he could graduate from high school the Korean War began and he was activated in July of 1950. Primarily because he had completed a Marine training summer camp he was qualified for immediate overseas duty. Tom left Seattle on August 10, 1950, and arrived at Camp Pendleton in San Diego, California, on August 13. Training was brief and he was aboard a ship to Japan by the first of September, 1950. 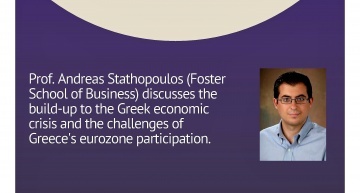 Tom’s initial assignment was as a Greek interpreter as Greek troops were initially expected to join the allied forces. The Greek troops did not arrive until mid-1951 and Tom assumed his second MOS (Military Occupational Specialty) as a rifleman. Tom’s unit closely followed the initial invasion of Inchon, Korea, on September 15, 1950. His unit proceeded to the front lines to prepare for the taking the city of Seoul, the capitol of South Korea. There he participated in the house-to-house and door-to-door combat to capture the city. He also participated in the taking and securing of Kimpo Airfield, the present day modern international airport of South Korea. After securing the area his unit was withdrawn and reloaded onto Japanese Landing Ship Tanks (LSTs) for another invasion, this time in Wonsan Harbor on the eastern end of North Korea. The entry to the harbor was heavily planted with explosive mines and the ship was put on back-and-forth “yoyo” maneuvers for 14 days with only rice and a few C-Rations (individual canned, pre-cooked, wet rations) available for the men aboard. Tom swore that if he survived the war, he would never eat rice again, and he hasn’t. It was mid-November when they first moved into the Chosin Reservoir in North Korea. Tom vividly remembers the cold Thanksgiving Day on November 26, 1950, sitting in the snow banks where the hot turkey froze on the metal mess tray in below freezing temperatures of -30 to-40 degrees before it could be even partially consumed. It was the last meal for many young Marines as the Chinese made their mass attack the next morning, the 27th, and planned to decimate the entire Marine division. A withdrawal was ordered. Tom was in the withdrawal convoy while under attack by the Chinese with Thompson submachine guns firing and hand grenades exploding around him. A submachine gun burst raked across his hand and grenades exploded at his feet. He was knocked unconscious and woke up in the back of a truck, thrown there with other wounded and dead Marines. Five days later he was flown out and was transferred to a medical hospital in Japan where he remained for three months. 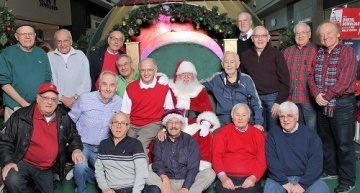 One bright spot occurred during Tom’s hospital stay when he was able to contact his Seattle friend, Pete Conom. 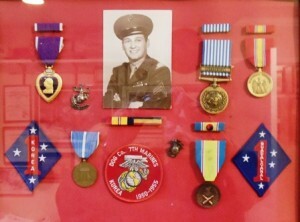 Pete also had been activated and was in the Navy on a ship in nearby Yokosuka Harbor. Tom was able to find Peter who had kept two cans of beer in his foot locker and the two young men joyfully shared the beer. Recovered and back in the States, Tom served as an assistant drill instructor and performed guard duty assignments at Camp Pendleton. He was discharged in 1952. He attended Broadway-Edison Technical School (now Seattle Central College) to complete his high school requirements for his diploma. After that he held odd jobs and began attending Seattle University. He also helped his ailing father at the Tug Tavern. In 1954, while in the Midwest, Tom also attended Wayne State University in Detroit for a short period. He found a job in Detroit and was doing well. In mid-December he received a phone call from his mother telling him his father had suffered a stroke. 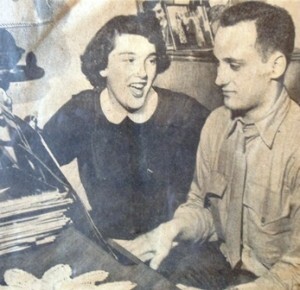 Tom returned to Seattle in December of 1955. 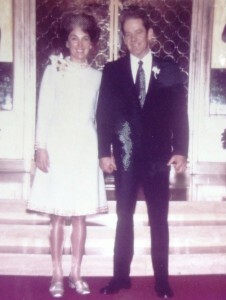 In 1960, while attending a wedding with his sister Helen, Tom met Maria Raptis who was handling the guest book at the reception. After a few bowling dates and a two-year courtship, they were married on November 30, 1963. Tom and Maria have three daughters: Constantina “Tina” after her maternal grandmother, Anastasia “Stasia” after her father, and Christa after Tom’s father, Christo. 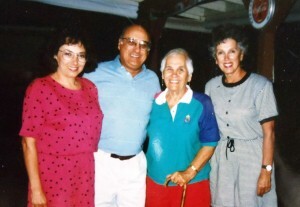 They have four grandchildren: Rena, Georgia, Thomas and Demetre. In 1964 Tom began working in real estate primarily with residential properties in King County, north of Seattle. In 1969 he joined the firm of West and Wheeler for the next five years working in and learning the commercial field, also in north King and Snohomish Counties. In 1973 he and several others working at West and Wheeler were recruited to start Grubb and Ellis, a California firm expanding to Seattle. Tom spent the next 11 years with Grubb and Ellis. 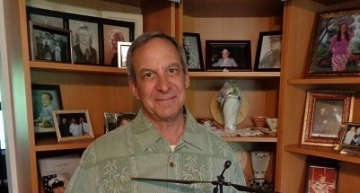 In 1984 he opened his own brokerage firm, Thomas Commercial Brokerage, where he conducted retail commercial sales and property management until he retired in 2006. Helen Chris Heuer (nee Barbas), was born in Detroit Michigan on July 1, 1934. By tradition, she might have been named Magdalene (Cotronis), after her paternal grandmother. 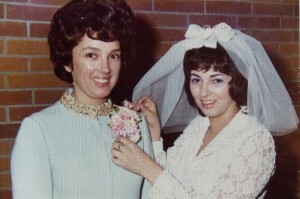 However, after the death of Eleni Stamolis Stephas, her maternal grandmother, it was decided to name her Helen, or Eleni in Greek. 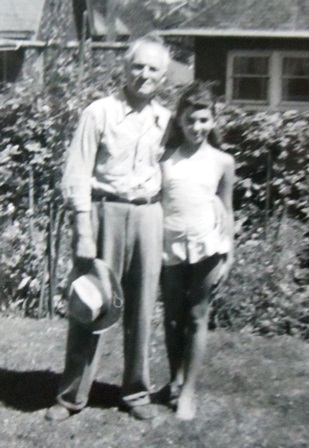 In Detroit along with her older brother Tom, she went to Carstens Elementary School and loved being in school. She especially enjoyed the open gymnasium on Saturdays, where crafts were readily available and had the chance to make friends. There were few girls in the neighborhood, so most of her friends were boys that were Tom’s age. She recalls the many times tending to the bumps and scrapes of the neighborhood boys and thinking she might someday become a nurse. 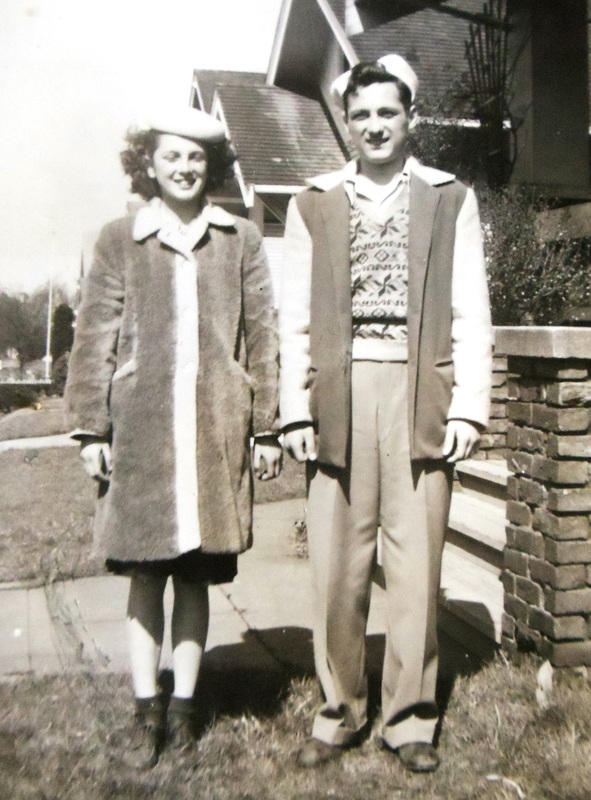 When the family moved to Seattle in 1944, Helen and Tom attended West Queen Anne Elementary. As the Greek language was the only language spoken in the house, Tom and Helen were at a slight disadvantage in school. But while attending Queen Anne Elementary, they quickly learned to speak the English language. 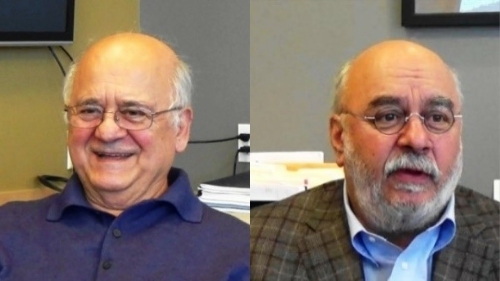 Each week, Greek cousins would all get together and be transported to Hamilton Junior High by Phillip and Tom Stamolis, for lessons in Greek reading and writing. Their parents made this a mandatory event. In the eighth grade, the music teacher prepared a Christmas singing pageant. She walked around the class, stopping by several desks to listen and determine where each of the students might fit in the choir. She stopped by Helen’s desk to listen and said she wanted her to stay after school to talk about singing. She asked Helen to sing the song “O Holy Night”, for the PTA ladies. Helen had never heard of the song, but was given the words and music to follow. That same year she was lucky enough to take singing lessons from Dentan Rusell, and received two years of excellent musical training. At the time Milton Katims was music director of the Seattle Symphony and in 1953, Helen was fortunate to audition with him for various operettas, several of which she was selected to perform. The stage of Seattle’s Moore Theater became like a second home to Helen and music became her forte. Later, she also entertained troops with her friends at nearby Fort Lawton (now Discovery Park) and sang in a production of “Madame Butterfly” at the University of Washington. At Queen Anne High, the Barbas family grew yet again. Helen was told by her counselor that Marigo had given birth to a baby girl. A couple days later, Marigo came home from the hospital with baby Demetra. Luckily, Mrs. Beanfield, the neighbor lady and retired nurse would visit mother each day, making sure little Demetra and mother were doing well. Helen’s social activities were very limited because her mother was so strict and always worried about her. She enjoyed reading books and generally enjoyed school as a whole but participated in few school activities. Sometimes she would stay after school attending the Mademoiselle Girls Society of which she was president. The group would organize dances held at the school and other social events, much to Marigo’s dismay. Merchant Marines frequented the Tug Tavern and, as they always had things to barter, one day Christo ended up with a car. However, he didn’t drive. But the Merchant Marine had to sell the car as he was shipping out and offered to drive it to the Barbas home. The next day Marigo was begging Helen to learn to drive the car in order to help with family errands. At 16 years old Helen didn’t have a license and had never even started a car. The garage door took the brunt of her driving skills, and after grinding gears a few times, she was able to get it out of the driveway and onto the roads of Seattle. On one occasion, while driving in a funeral procession the car stalled. The very nice officer of the funeral procession asked if she needed help. He surely thought Helen was with the mournful group of people in their cars. Nervously, she said, “No thank you, I’ve got it under control.” She was scared the officer would pull her over and start asking for identification. Marigo thought Helen’s driving was so good; she was planning a trip to California, with Helen driving of course! Thank goodness, they ended up taking a train. Helen still laughs about that incident. Upon graduation from Queen Anne High Helen went to work for the Seattle Pacific Northwest Bell phone company. This job did not last long, as Marigo gave Helen the choice of a car for work, or a trip to Greece. However, Marigo decided for her, choosing the trip to Greece. 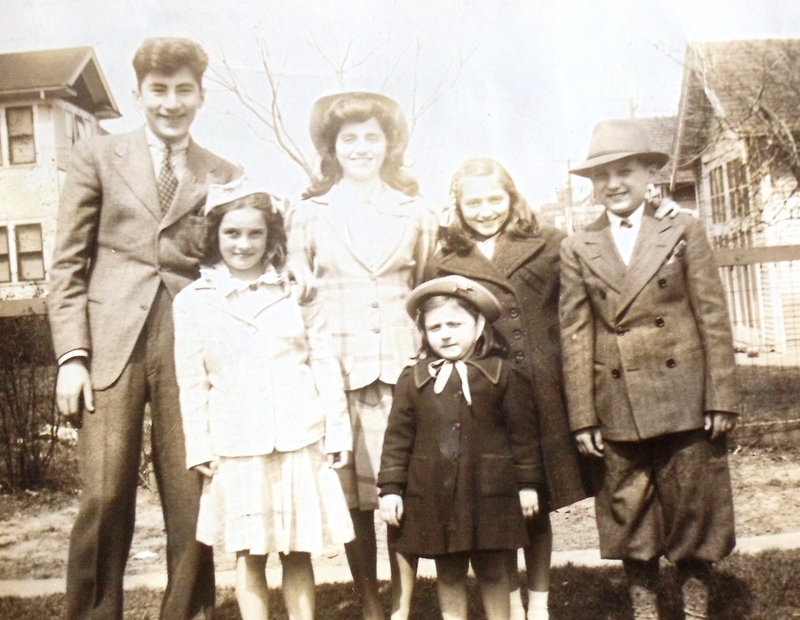 A six-month journey followed from Seattle to Detroit for family visits, stopping later in New York and eventually boarding the ship, NEA ELLAS, for Greece. On the ship Helen entered a beauty contest and won the competition, being crowned Queen NEA ELLAS. She still has her scepter. It was on this ship that she met a Greek man who was very interested in her; however, she was young and not interested. 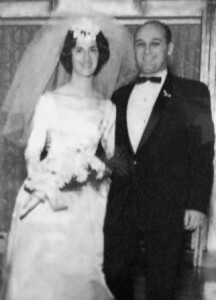 Nonetheless, Marigo thought it was a good match, and a year later, in 1955, Helen and her husband were married in Philadelphia, Pennsylvania. After a few years it became evident the marriage was not to last. However, there were two daughters, Melissa and Christine. Helen returned to Seattle several times, talking with her parents about her unhappiness. In October, 1960, Helen moved to Seattle with the girls and found work with Best’s Apparel (now Nordstrom). After several years of working at Best’s, she found a job at the Seattle School District. She worked for the Seattle High School Athletic Office for 25 years and also complemented her salary by working nights at the new Monorail in downtown Seattle. She retired after 27 years of employment. Helen’s mother and dad lived just two blocks away, and they would babysit during those long hours of working two jobs. It was not easy. As a single parent, raising two daughters kept her busy working with little time for social events. However, her girlfriend from work encouraged her to attend an event at the Elks Club in downtown Seattle. There, Helen was introduced to Robert (Bob) Heuer. Bob and Helen danced and talked the entire evening. She told him she was leaving the next day for Portland, Oregon, in my “little old” Volkswagen. Bob pulled out the keys from his pocket and said, “Take the keys to my Cadillac, instead of that unsafe little car.” Helen remembers laughing but never took his car. Bob and Helen began dating after her trip to Oregon. 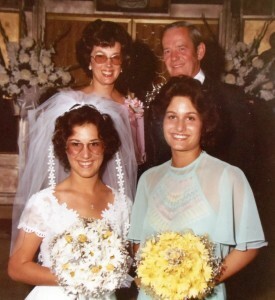 As marriage became a topic of discussion Helen said, “If you want me, you get my girls also.” On November 27, 1970, with Melissa and Christine by their side, Bob and Helen were married. They lived in Shoreline, Washington, but the little house was just too small for four people and a dog. After a year, the new family packed up and bought Marigo’s house, as her husband had passed away, leaving a large house for only one person. Bob taught the girls how to fish and hone their skills on taking care of their cars and so much more. They loved him dearly and he was a wonderful father and a great husband to Helen. 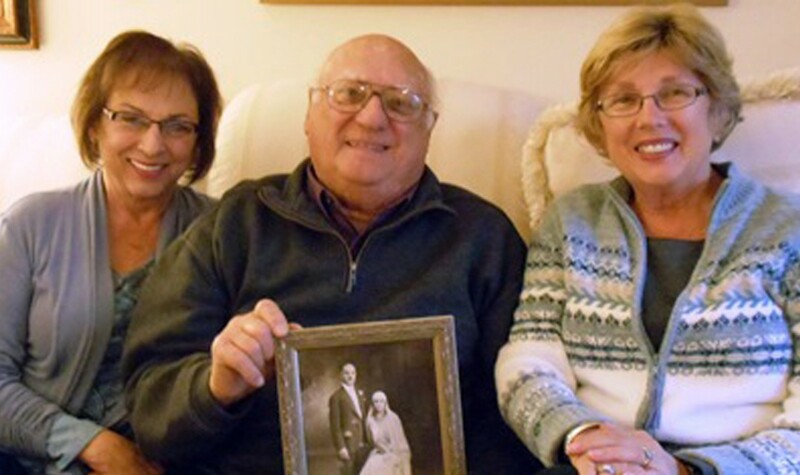 Bob died in 1985, and Helen remained in the home until the girls became parents themselves. But as with any large home, tending to the lawn and other chores were too much for one person. It was time to sell and move on. Helen sold both Shoreline houses and moved to Snohomish, Washington. At home, Helen makes time for her Greek Orthodox Church in Seattle. 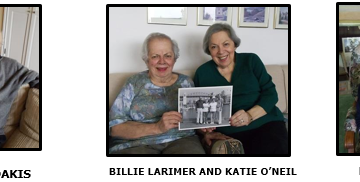 She was President of Philoptochos (womens’ auxiliary) and Board member for a number of years. Being involved in efforts such as “Dress for Success” or teaching Sunday school, will always be her passion. Although she has long stopped singing in the church choir, she still listens to a variety of music at home and still sings along from time to time. 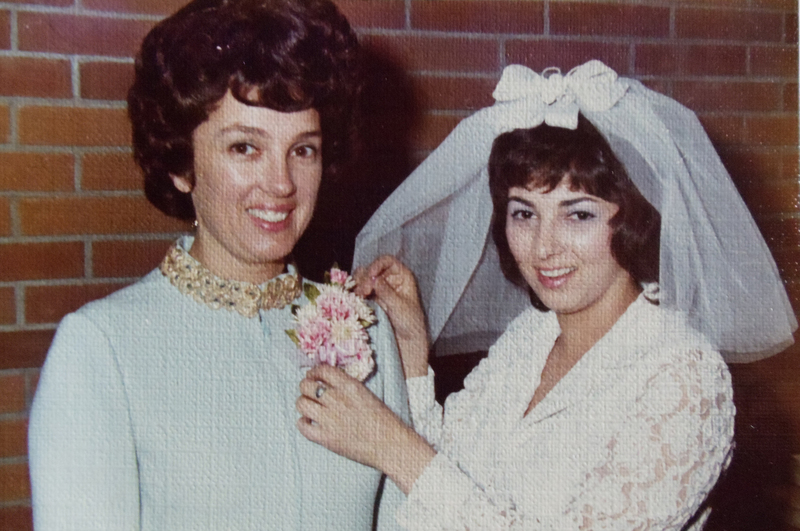 Helen believes her story could be similar to others with immigrant parents. It was a struggle for them and a struggle for her in her early years, but she believes it has made her a better and stronger person. Demetra “Demie” Chris Jacobsen (nee Barbas) was born in Seattle on October 20, 1947, after the family moved from Detroit. As one of the youngest in her class at Coe Elementary, she often fell asleep in class and most likely should have been held back one year. When the family moved from Queen Anne to north Seattle, she attended Cordell Hull Middle School and Shorecrest High School. Her experience was “all English” and she considers herself a child of the rebellious 1960s. 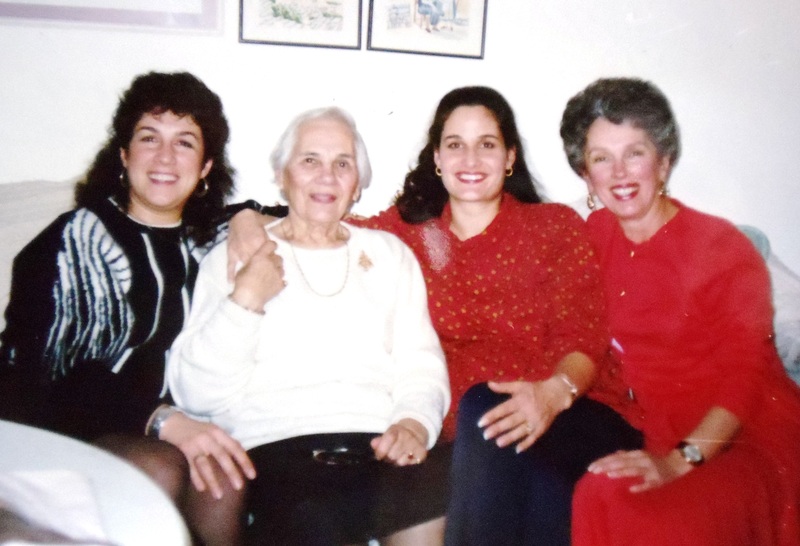 Still, she looks fondly upon her time with the Maids of Athena, the young women’s affiliate of AHEPA, (American Hellenic Educational Progressive Association), GOYA (Greek Orthodox Youth of America) and her Greek friendships which have continued throughout the years. She was 18 when she met her future husband. Peter Jacobsen was not Greek but fortunately Christos approved despite Marigo’s reservations. And, as they dated throughout his college years, Demetra found some freedom not previously available to her. Marigo came to realize what a fine person Peter was and gave them her blessing. After high school she attended Griffin-Murphy Business College and some classes at Seattle Central Community College. She learned of a job through a friend of Peter’s and began work at the age of 19 at Timber Structures in downtown Seattle. When the office relocated to Bellevue, Washington, Demetra found work at Northwest Insurance Company in Seattle as a secretary and eventually became an insurance adjuster there. 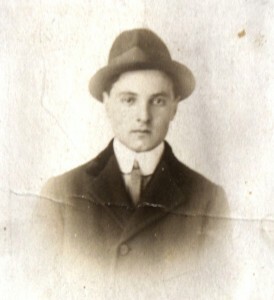 Peter had an uncle in Chicago, Illinois, through whom he secured employment with Sears and Roebuck after graduating from college. 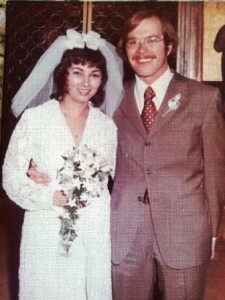 Demetra visited him regularly and in 1975 they were married in a small wedding in Seattle. They lived in Chicago for nine years and, to be near family, returned to Seattle in their 1972 Volkswagen when their first daughter Kristen was two years old. 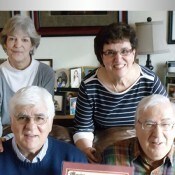 For a time they stored their belongings in Helen’s basement until Peter began working for Weyerhaeuser in Federal Way, Washington, where they finally settled. Their second daughter, Megan, was born in 1978. Demetra cared for her daughters and volunteered at her daughters’ schools until the girls were in junior high school. Then she began a 16-year career with the Federal Way School District as an administrative assistant and library assistant. 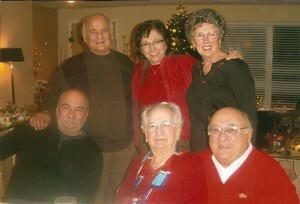 Demetra and Peter have five grandchildren. 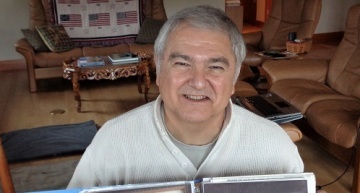 It was very difficult for Tom in his early years when he was isolated from non-Greeks and could hardly communicate outside of his Greek community in Detroit. After serving in the Marine Corps and while attending college, he began to realize the importance of his ethnic background. He found himself far ahead of his classmates with an ability to decipher terms in mathematics, anthropology and psychology. The best for Tom was the social camaraderie and being immediately accepted in any Greek home or community. 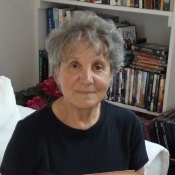 Helen does not feel she was treated differently as a Greek girl in Detroit and fondly remembers Mr. Zulos’ store in Greek Town where his parrot would greet customers by saying “Ti kanis?” (How are you?) 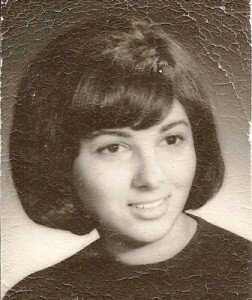 While she was not allowed to participate in non-Greek activities such as the Blue Birds or Girl Scouts, she knows her mother was just trying to protect them and keep them in the Greek “bubble.” Now, she feels “connected” with her heritage and is even treated with envy by some non-Greeks. It is more difficult for Helen to separate her Greek heritage from her Orthodox Christian faith than it is for Tom and Demetra. 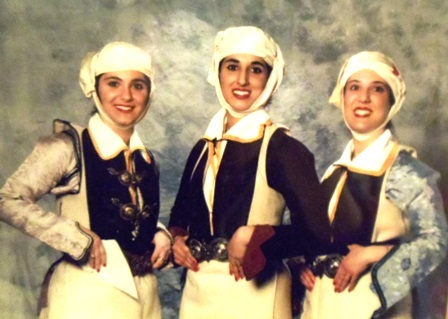 Mostly because of his Greek wife and three daughters, Tom’s family has been very active with their Greek folk dance group, even hosting visiting dancers from Greece. And, although he was supposed to be a priest like his grandfathers, that has not been his interest. For Helen, she would be thrilled if her daughters would learn even a few words of Greek. However, she is pleased they have both taken an interest in the Greek Orthodox faith. Having married a Norwegian, Demetra’s two daughters are very different in appearance; Kristen shorter and darker in complexion and Megan taller and lighter in complexion. This factor may be part of the reason Christin has taken a stronger interest in her background than her sister. Like many other Greek children, Tom, Helen and Demetra were told prosexe (be careful), ta matia su tesera (look with four eyes, or be extra careful) or even threatened with tha sevraso (I will boil you) if they misbehaved. One of Tom’s favorites was when his father, in a frustrated or angry moment, would say “pou sto Columbo castigradi?” (where in the Columbus did you ever find to do that?). 24 Jacobsen family (l-r) Tom Coate holding son Reece, Megan Coate holding Alissa, Soren, Kristen Johnson holding Andrew, Greg Johnson,sitting down, Jake Johnson age 7 ½, circa 2014.